As many of us already know, photos play a major role when it comes to publicizing a property. Photos and videos grab everyone’s attention whether it’s on Facebook, printed marketing materials, or your blog/website. The photo/video must be clear, crisp, elegant etc. To achieve this many Realtors hire professionals to make sure the photos are of quality, but what happens when professionals are not available? We’ve all been in a position where you are touring a property for a client and you want to send them a quick pic or video to gauge their interest. Or maybe you’re not satisfied with the pictures on the MLS but you don’t have time to hire anyone. How do you make sure these photo/videos are quality? Here are a few tips for you to follow. 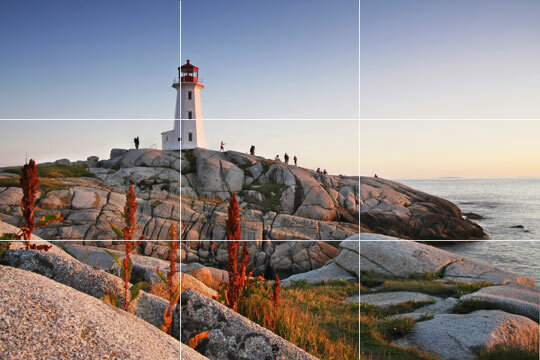 The Rule of Thirds – The guideline proposes that an image should be imagined as divided into nine equal parts by two equally spaced horizontal lines and two equally spaced vertical lines, and that important compositional elements should be placed along these lines or their intersections. The iPhone Makes this easy with its grid feature. If you break the image into nine sections, how do your subjects fit in those spaces? You don’t always want them in the middle. Use a Tripod (when available) — this will allow you to take a longer exposure and give you crisp, clear photographs with available light. Use all of the available lighting — in the home, being careful not to shoot directly at bright light coming from windows unless you are using multiple exposures or exposure adjustments. When the camera sees the bright light coming from the window, it thinks there is enough light for a proper exposure; what will actually happen is the room will be underexposed and detail will be lost. Wide-Angle lenses are best for photographing rooms, as they will show more of the room, which will enhance the space. Never Shoot at Mid Day — When shooting the property from the outside its best to avoid shooting at mid day, this is when the Sun is at its peak and the light will cause the camera to under expose the picture. These are just few tricks that can help you when taking photos of your listing. Happy Clicking! This entry was tagged Commercial real estate, MLS, Multiple exposure, National Association of Realtors, Photography, Real Estate agent, real estate brokers, real estate internet marketing, real estate media, real estate professionals, real estate tech trends, realtor, realtor real estate, Realtor.com, residential real estate. Bookmark the permalink.